While Giriraj is the face of the conservative Hindutva segment of the BJP, Kanhaiya, a former president of the students’ union of Jawaharlal Nehru University, is symbol of resistance against the Modi government and is facing charges of sedition. 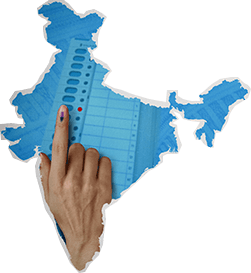 Elections in India and the associated campaigns have several repercussions. The poll curry in this country is made of several, and many a time, unusual condiments. 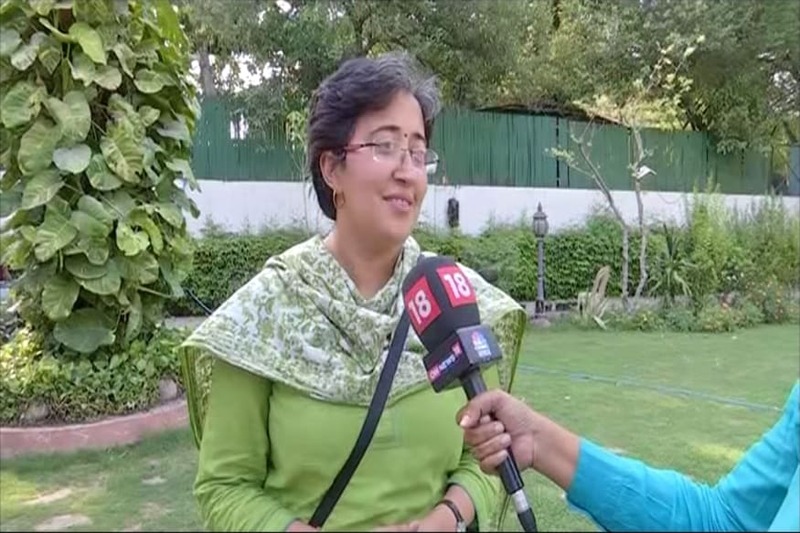 Thus, the battle for Lok Sabha 2019 has thrown up many interesting contests and their allegorical interpretation. One such interesting battle is being fought in the northern Bihar town of Begusarai, which will vote in the fourth phase of polling on April 29, with a month-long political fisticuff in the offing. It’s often stated that Bihar is a political state. Vindicating this viewpoint is the fact that of all the contests being held across 40 seats in the state, it’s Begusarai which has come to garner all the attention. Despite the prestigious seat of Patna City witnessing a classic battle between Bollywood star Shatrughan Sinha and Modi government’s heavyweight minister Ravi Shankar Prasad, it’s Begusarai which is in the spotlight. Begusarai, too, has a tense line-up. Giriraj Singh, the motor-mouth minister of Modi government, has “very reluctantly” entered the contest. While Giriraj belongs to a political party which claims to be the largest globally, his main opponent, Kanhaiya Kumar, belongs to the Communist Party of India, which is on its deathbed having polled less than 1% votes in the 2014 elections. While Giriraj is the face of the conservative Hindutva segment of the BJP, Kanhaiya, a former president of the students’ union of Jawaharlal Nehru University, is symbol of resistance against the Modi government and is facing charges of sedition. The proceedings of the sedition case in Delhi are being closely followed in Bihar because it helps Kanhaiya position himself as victim of the “wrath of the state”, and gives a chance to the BJP to point at the ‘anti-national’ elements supporting their rivals. Drawing room and university café discussions also veer to the age-old Biblical story of David and Goliath. For a quick recall, Goliath was described in the Bible as a Philistine giant defeated by the young David in single combat. Since then the ‘David and Goliath’ phrase has come to mean a situation where the underdog overwhelms a much bigger and stronger opponent. People point out that while Kanhaiya is fighting polls on crowd-funding, Giriraj Singh in his affidavit has declared possession of several immovable properties, jewellery and cash. Begusarai, too, has a deep Communist connect; it was once called ‘Moscow of Bihar’. Though the seat went to the BJP kitty in 2014, the party’s candidate, Bhola Singh, was originally a CPI cadre and certainly not a Hindutva votary as Giriraj is. The twists and turns in the Begusarai poll battle script, however, don’t end here. There is a possibility of a third contender crashing David and Goliath’s party. Former chief minister Lalu Prasad Yadav’s Rashtriya Janata Dal (RJD) has fielded Muslim candidate Tanveer Hassan. The constituency has a large presence of Yadav and Muslim voters, who should vote solidly for Hassan. He was the runner-up here in 2014. 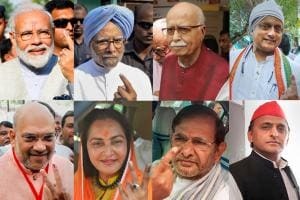 The BJP is banking on usual party rhetoric, claiming the voters’ faith “in the country's development, the leadership of Prime Minister Narendra Modi” and not to forget “the valour of our armed forces”. Following Giriraj Singh’s filing of nomination papers, prominent Bihar BJP leaders, including state unit chief Nityanand Rai, deputy CM Sushil Kumar Modi, besides alliance partner JD(U)'s prominent face, RCP Singh, a close aide of Chief Minister Nitish Kumar, held a public rally. The presence of RCP Singh was to allay the fears that Nitish Kumar is not favourable towards Giriraj candidature from Begusarai. Kanhaiya’s campaign, on the other hand, is in the hands of old JNU faces, including Dalit MLA from Gujarat Jignesh Mevani and the old CPI cadre of the district, who have outlived the Soviet Union for more than 25 years now. Mevani had emerged as the face of Dalit resistance against BJP forces during the Gujarat Assembly polls. His presence has forced Giriraj to sing a parochial tune. He recently tweeted saying, “What is Jignesh doing in Begusarai? Didn’t he thrash Biharis in Gujarat and troubled their sisters and mothers. Please ask this question to him (Jignesh), wherever you find him." Kanhaiya sympathisers feel that in fielding Hassan, Lalu Yadav may have inadvertently helped BJP. Kanhaiya Kumar’s victory would give impetus to anti-Modi forces, especially in the ideological battle which is being fought between the BJP and its adversaries. Hassan, in his victory, may defeat the BJP candidate, but save the saffron party the blushes of having to face somebody they pitched as ‘anti-national’ on the floors of Parliament.